Showing results for tags 'shiro amano'. The writer and artist of the Kingdom Hearts manga, Shiro Amano, has informed us today via an official statement on Twitter, that the manga series has come to a close. 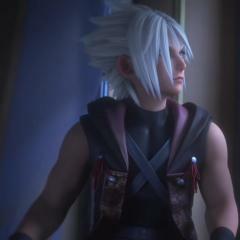 Shiro Amano confirmed he will no longer be creating any further manga's based on the Kingdom Hearts video game franchise. A translation of Amano's tweet can be read below thanks to Katie Armstrong (karmstrong0932@gmail.com): The Kingdom Hearts manga began twelve years ago in 2003 and told the stories of Kingdom Hearts, Kingdom Hearts: Chain of Memories, Kingdom Hearts 358/2 Days and Kingdom Hearts II. 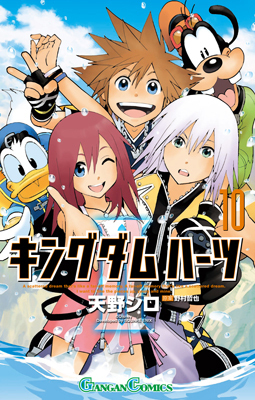 The final manga and tenth volume of Kingdom Hearts II was released in Japan in August. The manga is well known for its humor, additional story elements, and slight alterations in plot to the franchises' original games. The manga that have yet to be released in English will still be published by Yen Press in the US. What are your thoughts on the Kingdom Hearts manga ending? Do you have a favorite section with in the manga you would like to share? Let us know in the comments section below! A Tumblr user named jojo56830 uploaded these scans of the End-Credits scene where Sora visits the Secret Place.